A short post today, I finished making my custom order for 5 wide 3 pocket chair bags. I love how they turned out. As they are a little wider than usual I used some additional interfacing to strengthen the pockets. Don’t you love the whale fabric !!! 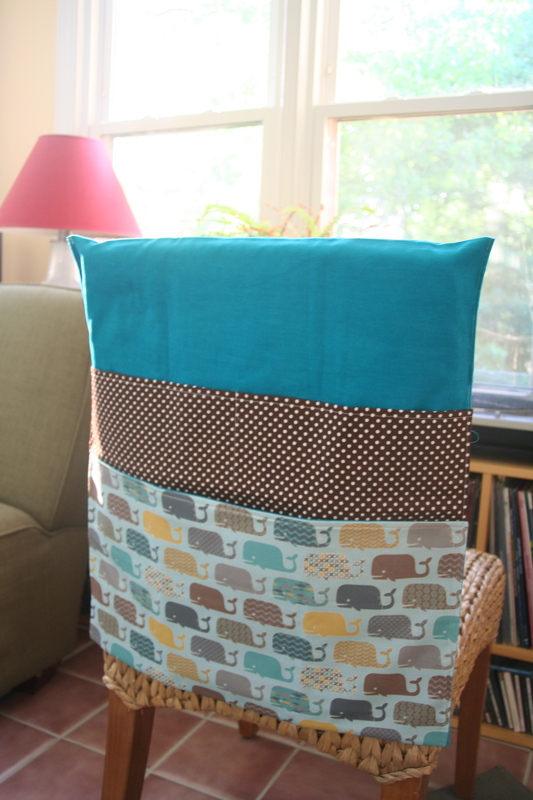 I got a second order of chair bags this week at my Etsy store – Squeek Crafts. So great news for my store!! 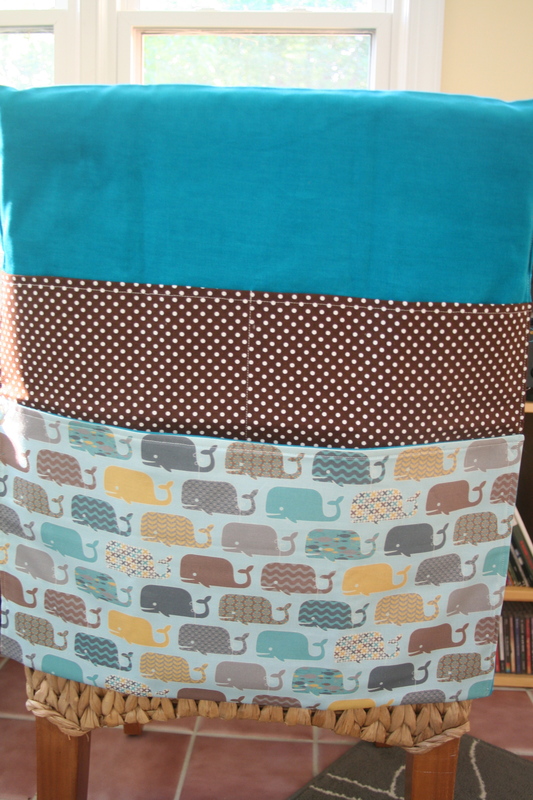 This entry was posted in Uncategorized and tagged brown polka dots, chair bags, chair pockets, corduroy, Etsy store, Finish it up Friday, natasha_k, sewing, Spoonflower, TGIF, Thank goodness it's Friday, Whales on May 10, 2013 by mlwilkie. I love these!! I’m an elementary teacher, and most chair bags are so utilitarian. These are adorable! Great job! Thank you 🙂 My 5 year old son loves his ones….they are so handy. I love that idea, Michelle and yours look awesome! So glad you linked up to TGIFF! Thank you so much Michelle for providing a link to my fabric on Spoonflower, you made my day!!! Your work is great, I love these pocket chair bags! Thanks Michelle, hope you don’t mind, I posted this on my Flickr page! I saw your site on the comments for a giveaway and you stated you where from New Zealand and now live in Cary, NC. I have lived in the Cary/Raleigh area for the past 25 years and just moved to Montana! We may have seen each other in a store before and never knew it.